Apartments represent the highest room category in our hotel, it is perfect for the accommodation of a family with children. The apartments consist of 2 joint rooms – a living room and a bedroom, as well as a mini-kitchen. 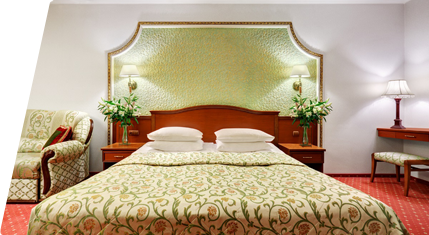 The interiors of bedrooms are decorated with original paintings of famous artists. 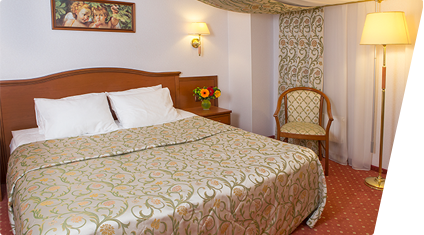 Daily room cleaning (bed linen and towels are also changed daily).